Space X is going into places by launching a secret ZUMA satellite for US government, and it's first mission in 2018. It also landed successfully falcon 9 back on earth. And now, space X is getting ready to launch it's biggest rocket yet called falcon heavy. 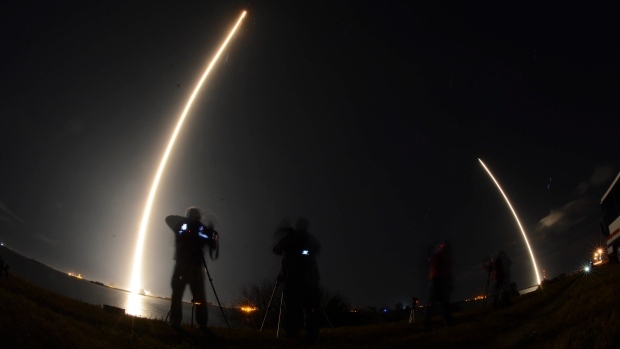 As re usability is the main goal for the scientists in Space X, they made it successful, and ZUMA was set into orbit from Cape Canaveral Air Force Station in Florida. Neither from Elon Musk or from Space X teams, has announced what is the sole purpose of sending ZUMA, as it is a classified government operation. From now on, Space X is aiming to launch a satellite every two weeks, after it's breathtaking 18 launches in 2017. For this year, the major target is to launch it's falcon heavy. Here is a video from Space X channel from youtube, And, here is the launch of ZUMA.